You have enough to worry about having just moved into your home: updating people that you have moved with your new address and number; figuring out where the post office is or the closest grocery store; searching for a new pediatrician or veterinarian. Why not make life easier and have one less thing to worry about? First of all, make sure you have a list of emergency contacts from your new area including locksmiths, just in case. If you’re in the perth area, visit www.southperthlocksmiths.com.au. 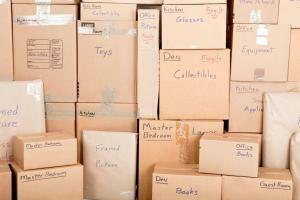 If you have never been organized, moving into a new home is a great time to organize everything as you unpack. I will unpack and get you organized so you can hit the ground running in a clutter free home! I suggest a strategy and unpack the bedrooms, kitchen and bathrooms first, as those rooms will most likely be used the most and right away. This is also a wonderful time to get the closet in shape. With all the stress you have during a move, wouldn’t you easily like to find your clothes? I also suggest taking pictures before you unpack everything, as it is usually fun to look back and see how you have made your new house a home. I also suggest setting up routines while unpacking as this can give you some sense of normalcy and allow you to feel at home more quickly. Reduce your stress! If you are ready have your home unpacked and call 919.559.3925 to set up a free 20-minute phone consultation. I am available to consult with you via Phone, FaceTime, Skype, Google Hangouts on Air. MOVING TIP: Sketch out furniture placement in all your rooms. If you are able, measure the rooms and know the measurements of furniture to make sure everything can fit. Who wants to lunk around heavy furniture more than once?